Nobody passed Zack VanderBeek in the USMTS Hunt for the Casey’s Cup main event Friday night at the Brown County Speedway as he led all 40 laps en route to a $3,000 payday and his 46th career United States Modified Touring Series victory. Johnny Scott, on the other hand, passed just about every other car in the feature race except VanderBeek, and saw a miraculous run from the 17th starting spot end with a second-place ribbon. Starting third, VanderBeek quickly disposed of front-row-starting Lance Mari and Lucas Schott to take control of the race at the onset. The 33-year-old from New Sharon, Iowa, never looked back. If he had looked back he would have seen Scott reeling him in during the last dozen laps of the race. Relegated to the Real Racing Wheels “B” Main after a tough heat race, Scott jumped into action quickly in the main event as he picked off his competition lap after lap. While VanderBeek was leading the field back to the flagstand each time around the high-banked 1/3-mile clay oval, Scott was climbing the ladder. He moved into the top five at the halfway mark, and then passed local favorite Alex Guthmiller with 14 laps to go. Scott narrowed the gap behind VanderBeek and closed to within a few feet, but even a couple of late-race cautions wasn’t enough to propel him past ‘The Z-Man’ and the 2010 USMTS Rookie of the Year followed the 2004 USMTS Rookie of the Year to the checkered flag. Making jut his second career USMTS start, Guthmiller ran a strong second for most of the contest before eventually crossing the finish in third ahead of Mike Stearns and Terry Phillips. 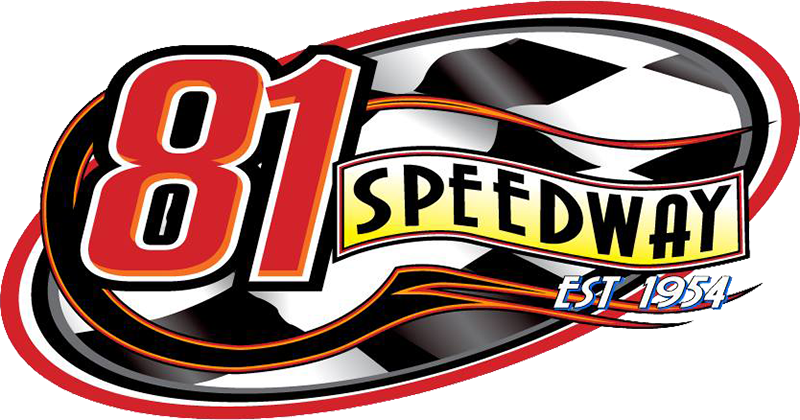 Defending race winner Stormy Scott claimed the sixth spot, Trevor Anderson was seventh, Ryan Gustin wound up eighth, Travis Saurer passed nine cars to get to ninth and Nebraskan Kyle Prauner rounded out the top 10 finishers. SATURDAY: The weekend wraps up Saturday with the inaugural USMTS event presented by Ironhide at the Devils Lake Speedway in Crary, N.D. Pure Stocks, Wissota Street Stocks and Wissota Midwest Modifieds will round out the four-division program at the popular dirt oval. Brown County Speedway, Aberdeen, S.D. 1. (1) 52x Alex Guthmiller, Huron, S.D. 2. (2) 75 Terry Phillips, Springfield, Mo. 3. (4) 24s Mike Stearns, Hecla, S.D. 4. (5) 5k Kyle Prauner (R), Norfolk, Neb. 7. (6) 21x Travis Saurer, Elizabeth, Minn.
8. (7) 48 Brent Dutenhoffer (R), Watertown, S.D. 1. (1) 19sb Lance Mari (R), Imperial, Calif.
3. (5) 33Z Zack VanderBeek, New Sharon, Iowa. 4. (2) 23 Adam Kates, Tonganoxie, Kan.
5. (7) 20 Trevor Anderson (R), Watertown, S.D. 6. (4) 1st Johnny Scott, Cameron, Mo. 7. (6) 3 Arne Anderson, Watertown, S.D. 8. (8) 23 Terry Haven, Britten, S.D. 3. (5) 19R Ryan Gustin, Marshalltown, Iowa. 4. (4) 9 Kent Arment, Aberdeen, S.D. 5. (7) 0 Jake O'Neil (R), Tucson, Ariz.
6. (1) 88 Randy Klein (R), Lisbon, N.D.
7. (8) 9 Tyler Anglin, Aberdeen, S.D. 8. (6) 32 Jesse Young, Warner, S.D. 2. (4) 21x Travis Saurer, Elizabeth, Minn.
3. (2) 88 Randy Klein (R), Lisbon, N.D.
4. (7) 32 Jesse Young, Warner, S.D. 5. (3) 9 Tyler Anglin, Aberdeen, S.D. 6. (6) 48 Brent Dutenhoffer (R), Watertown, S.D. 7. (5) 3 Arne Anderson, Watertown, S.D. DNS – 23 Terry Haven, Britten, S.D. 1. (3) 33Z Zack VanderBeek, New Sharon, Iowa, VanderBuilt/Sput’s, 40, $3000. 2. (17) 1st Johnny Scott, Cameron, Mo., VanderBuilt/Durham, 40, $1925. 3. (5) 52x Alex Guthmiller, Huron, S.D., MBCustoms/Dakota, 40, $1000. 4. (9) 24s Mike Stearns, Hecla, S.D., MasterSbilt/Tim’s, 40, $700. 5. (7) 75 Terry Phillips, Springfield, Mo., GRT/Durham, 40, $1000. 6. (11) 2s Stormy Scott, Las Cruces, N.M., VanderBuilt/Mullins, 40, $895. 7. (14) 20 Trevor Anderson (R), Watertown, S.D., Arrow/Victory, 40, $500. 8. (6) 19R Ryan Gustin, Marshalltown, Iowa, Hughes/TriStar, 40, $450. 9. (18) 21x Travis Saurer, Elizabeth, Minn., MBCustoms/Dakota, 40, $425. 10. (10) 5k Kyle Prauner (R), Norfolk, Neb., Razor/ChevPerf, 40, $400. 11. (13) 9 Kent Arment, Aberdeen, S.D., Hughes/Mullins, 40, $375. 12. (19) 88 Randy Klein (R), Lisbon, N.D., MBCustoms/Tim’s, 40, $350. 13. (4) 4r Dereck Ramirez, Woodward, Okla., Hughes/Cornett, 40, $615. 14. (8) 20 Rodney Sanders, Worthington, Minn., MBCustoms/Hatfield, 40, $585. 15. (22) 48 Brent Dutenhoffer (R), Watertown, S.D., Hughes/Sput’s, 40, $275. 16. (20) 32 Jesse Young, Warner, S.D., MasterSbilt/Sturdy, 40, $225. 17. (1) 19sb Lance Mari (R), Imperial, Calif., MRT/Yeoman, 27, $275. 18. (12) 23 Adam Kates, Tonganoxie, Kan., LG2/Speedway, 27, $555. 19. (2) 69 Lucas Schott, Chatfield, Minn., MBCustoms/Hill, 23, $550. 20. (23) 3 Arne Anderson, Watertown, S.D., Arrow/Sturdy, 22, $225. 21. (16) 8c Chris Clark, Jackson, Wyo., GRT/PerfAuto, 11, $275. 22. (15) 0 Jake O'Neil (R), Tucson, Ariz., LG2/Cornett, 10, $550. 23. (21) 9 Tyler Anglin, Aberdeen, S.D., MasterSbilt/Sput’s, 4, $225. DNS – 23 Terry Haven, Britten, S.D., J-Car/Hanley, 0, $100. Total Laps Led: VanderBeek 40. Margin of Victory: 0.816 second. Time of Race: 23 minutes, 43.125 seconds. Eibach Spring Forward Award: J. Scott (advanced 13 positions). FK Rod Ends Hard Charger: J. Scott (started 17th, finished 2nd). Next Race: Saturday, June 30, Devils Lake Speedway, Crary, N.D.
USMTS Hunt for the Casey’s Cup Points: J. Scott 1841, O'Neil 1751, Sanders 1699, VanderBeek 1694, S. Scott 1673, Phillips 1624, Ramirez 1621, Schott 1608, Joe Duvall 1158, Kates 1136. Grant Junghans USMTS Rookie of the Year Points: O'Neil 1751, Carlos Ahumada Jr. 760, Zane Ferrell 692, Mari 665, Billy Vogel 610. USMTS Engine Builder of the Year Points: Durham 193, Sput’s 169, Cornett 153, Mullins 143, Hatfield 136. USMTS Manufacturers Championship Points: VanderBuilt 218, MBCustoms 210, GRT 157, Hughes 152, LG2 149. Beyea Custom Headers – Mari. Casey’s General Stores – Guthmiller. E3 Spark Plugs – Guthmiller. Forty9 Designs – Dutenhoffer, Schott. Integra Shocks & Springs – Kates. Jerovetz Motorsports Racing Parts – Young. KSE Racing Products – Saurer. Maxima Racing Oils – Guthmiller. Out-Pace Racing Products – Sanders. Real Racing Wheels – Haven. Simpson Performance Products – Guthmiller. Swift Springs – VanderBeek, Guthmiller. VP Racing Fuels – Guthmiller. Wehrs Machine & Racing Products – J. Scott. Wilwood Disc Brakes – Anderson.